Growing up in a family of chiropractors, Dr. Dahl has been under chiropractic care since a young age. Born in Minnesota, the Dahls moved to Arizona in 1976. Dr. Dahl’s grandparents remained in Minnesota. When it came time to attend chiropractic college, he returned to his home state to spend time with his grandparents and receive a comprehensive education at the same time. The science-based curriculum at Northwestern Health Sciences University gave Dr. Dahl the knowledge he needed to understand how to help people through natural healing. After graduating in 1994, Dr. Dahl returned to Arizona. 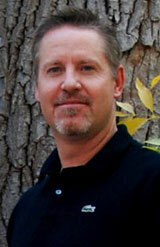 He worked in practices in Page and Tuba City, then opened RM Dahl Chiropractic in 2000. Dr. Dahl is a member of the Arizona Chiropractic Association and the Northern Arizona Athletic Association. He is certified in Whiplash and Brain Traumatology by the Spine Research Institute of San Diego and is a certified instructor for Maximized Living®. Enjoying sharing his knowledge with our community, Dr. Dahl is available for lectures at area businesses and churches. Regular health workshops are also held at the office. Dr. Dahl is married to Cheree, who you might see around the practice, along with their daughters Sydney and Shae. Their children are in competitive volleyball and starting to look at colleges, which keeps them busy when they’re not at work. With over a decade of experience, Dr. Dahl is ready to thoroughly evaluate your needs. Contact us today! X-ray facilities are available on-site.